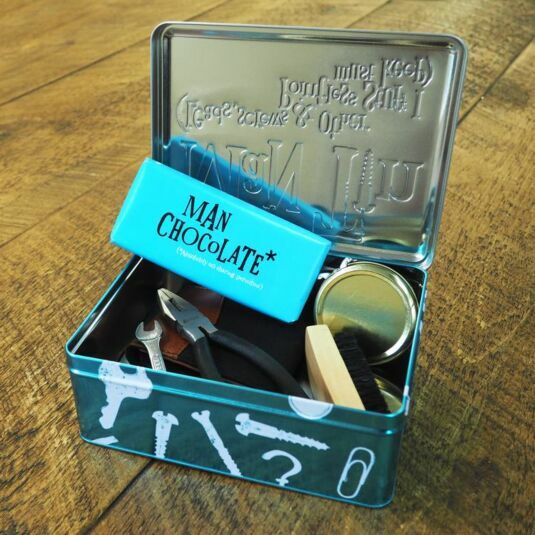 He didn’t know he needed it, but he won’t be able to live without it - the Man Tin from The Bright Side is an inspired variation on an essential theme! 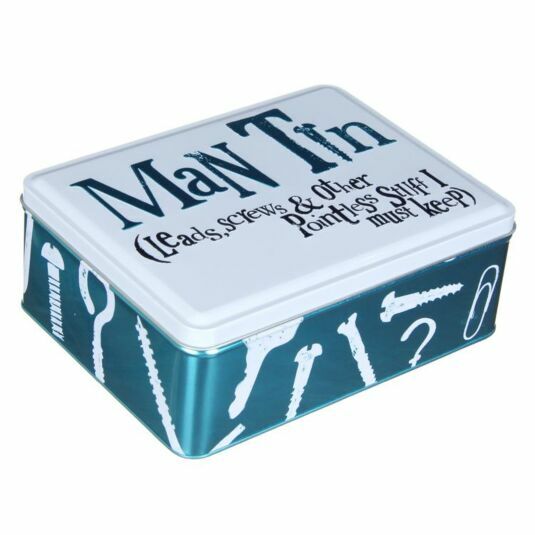 Quite simply, a tin with a hinged lid, perfectly sized to contain anything and everything that might come in handy. From screwdrivers and nails to paperclips and hooks, keys which belong to forgotten locks, cables for defunct electrical items, string, seed packets and all manner of useful items. 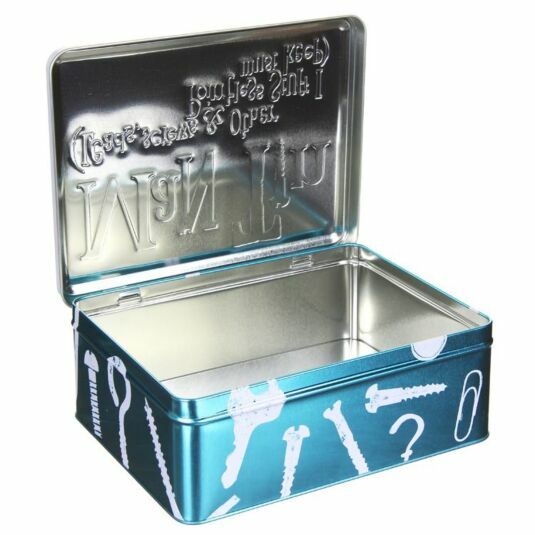 The sides feature silhouette illustrations of the kinds of things that might be inside the tin, such as screws, rawl plugs and nuts. Alternatively, this tin is just the right size for sandwiches, crisps and a drink – an ideal lunch box for fishing trips, football matches or just to take to work! 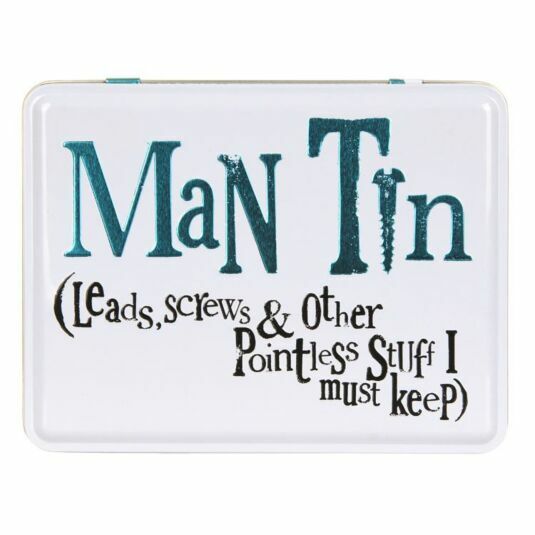 This endlessly useful tin makes a great gift for husbands, boyfriends and handy men, perfect for a birthday, Christmas or Father’s Day gift.